Sharon Rothstein unveiled “Clover X”. This is a coffee brewer that makes a perfect, single cup of coffee in under 30 seconds. It is not a home-use brewer, rather this is for the stores. Think about it: No more pots of coffee waiting for a customer to order a cup. No more brewing coffee every ten minutes or so. Starbucks has been testing and developing this technology for more than five years. It was built on Clover technology and constantly refined and improved. 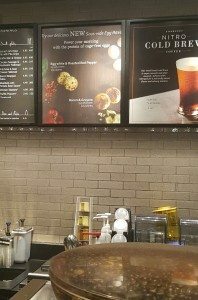 I caught a glimpse of an extremely early prototype of Clover X (then called the “Arrow” by Starbucks) in this article here, five years ago. In 2012, I saw it again in testing here. 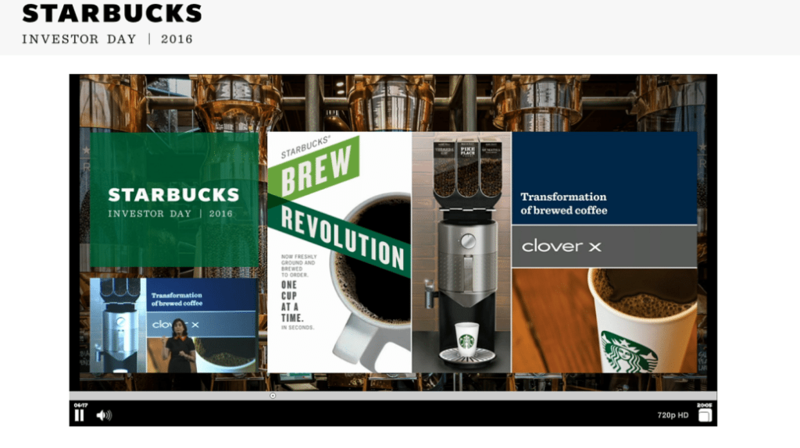 Shortly after I published these two articles, I was contacted by Starbucks and asked to come into the SSC and see another prototype version of Clover X, in an innovation lab deep inside the headquarters. I was literally shown a windowless room with equipment innovation in progress. Since that time, I’ve slowly been watching the Clover X machine come and go from testing, as it is constantly improved. This is true innovation. Think about what this means for the stores that get a Clover X. Right now, baristas brew a new batch of coffee every 8 minutes to every 30 minutes, depending on how many varieties of coffees they’re offering. Brew cadence will end. The Clover X means that partners will no longer have to worry about brewing coffee every 8 to 30 minutes. Your coffee will always be available in less than 30 seconds. Clover X will give customers the ability to order bold coffee, blonde, Pike Place Roast, or decaf at any time of day. No need to have a pot of decaf waiting for customers. Clover X will reduce waste of ground coffee and brewed coffee. No more pouring half a batch of unsold brewed coffee down the drain. Clover X represents five years in the making and extensive testing to get it right. I’m totally excited about this. I’m emphasizing the extensive development because it’s been tested to handle everything from a morning rush at a store to when stores get orders for a coffee traveler. Starbucks describes a national roll-out of these brewers coming in 2017. Yes! First off, yes, this can handle a morning rush. Secondly, there is absolutely no loss of coffee quality. If anything, coffee quality is improved. Never again will you have a barista tipping a large pot of coffee to get the last of a pot. You’ll no longer be handed a cup of coffee that has been sitting too long. You won’t ever get grounds in your coffee. And the flavor is fantastic. As I mentioned, I’ve been following this project for years. The 505 Union Station location mentioned in this article is close enough to where I work that I’ve been able to enjoy this Clover X brewed coffee many times. I don’t have a lot to say about this, but in passing I noticed that Ms. Rothstein mentioned that a white tea would be coming to the Starbucks lineup this Spring. This means that customers would have the option to choose from one of four iced teas. 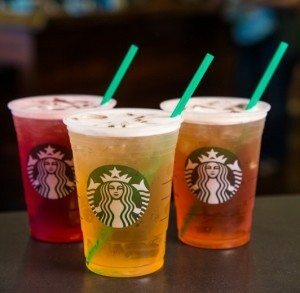 Right now, a customer can order iced shaken Teavana Passion Tango, Black Tea, or Green Tea at Starbucks. Adding in a white tea would be a great option! Unfortunately I don’t have any more details than that, but please let me know if you see a store with a shaken iced white tea option! Starbucks also announced that they will be launching a national certified, gluten free breakfast sandwich. It sounds like this too might be a Spring offering. 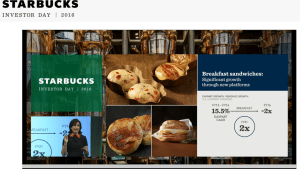 Starbucks tests a gluten free breakfast sandwich in 350 stores. 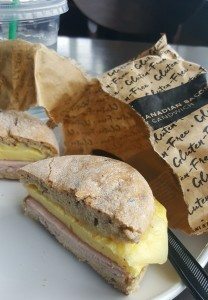 I tried the certified, gluten free breakfast sandwich when it was in testing during the summer, fall season this year. It’s really an impressive breakfast sandwich. I think this too is a good idea! Bacon and Gruyere – Cage-free eggs with aged Gruyere and Monteray Jack cheese, topped with apple wood smoked bacon. Egg White and Roasted Red Pepper – Cage-free egg whites with Monterey Jack, and creamy cottage cheese, with spinach and fire-roasted red peppers. Weigh in! That’s a lot of innovation coming right around the corner! Be on the look out for these new things and many other new food items! Starbucks announced that a regional release of soup is coming to some stores. Please let me know if you see soup in a store too! Starbucks for Life is back! Start playing now to win Starbucks for Life! December 6, 2016 - January 16, 2017. This is absolutely fantastic – as someone who 95% of the time orders dark roast drip , this will guarantee a fresh product. Thanks for the detailed post! 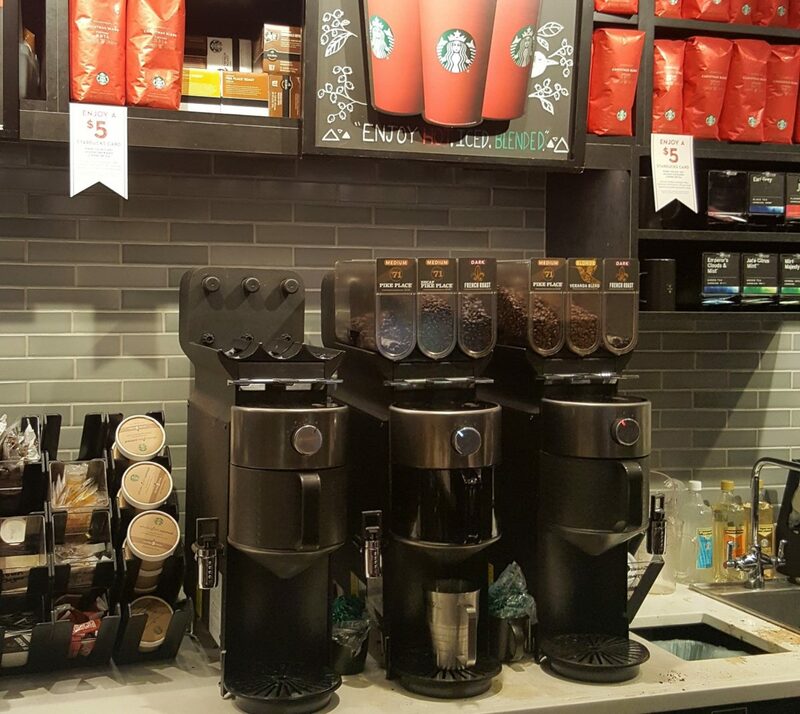 As a partner for Starbucks I am very excited for this my store is extremely busy and we have tons of customers, it hard being on customer support in the morning rush on a 8 minute cycle you just have to do your best and try and get everything done. I’m so excited! I started in a reserve store and I absolutely love the clover so I’m really excited to see this new techolnology! As a lower volume store manager I can’t tell you how excited I am by this! It’s so very hard balancing waste and demand! This is such a resource saver! The journey of every hand picked coffee beans should end in in the cup of a coffee drinker not down the drain! It can’t come soon enough! Do you think there will be a greater variety of coffees? My favorite is House Blend and I haven’t seen it ‘on tap’ since 2012 in the South hill SBX in Puyallup. Would really enjoy that again. Mrs B. You can always request your favorite coffee brewed just for you either brewed, clover or French press. Clover X sounds amazing, but i’m wondering what they’ll do when someone orders a Traveler or a Cambro of coffee. a certified g-f sandwich? FANTASTIC! Biennial Investor Relations: Who gets invited? Stockholders & stock analysts? Conventional and electronic journalists? Other categories of folks? And is a base in Seattle or Pacific northwest required? Just wondering, Melody. Whoever, sure glad you attend. Appreciate full story on how research and product testing gets implemented into Sbux day-to-day business. Wow, so that machine grinds and brews coffee to order in 30 seconds? As long as the price doesn’t jump, this is a gamechanger — who would want to go to Dunkin Donuts or McDonald’s (or in Canada, Tim Hortons, yuck) if they can get Clover X coffee for $2 and just as fast? @MadCityDeb – I just listened to the replay on the investor relations website. I didn’t attend. I wish. I mean I would LOVE to attend. The people who attend are generally industry analysts. Those people who make a living advising people when it is time to buy or sell a stock – large scale investments. It’s a pretty special group from what I see. Ordinary people like you and me don’t have any influence on the stock price. Trust me, I would jump in a heartbeat at the chance to attend. So, on the one hand, I’m excited to check this out and hopefully utilize it at my store, on the other hand though all I can think is now we don’t even brew coffee anymore. Can we really call ourselves Baristas anymore? I LOVE the idea of the Clover X… I can see myself be more inclined to order a drip now, because at Clover stores I always opt for that rather than my usual drinks. Can’t wait to see. Looks like somebody is trying to make a home version of the Clover X! The original Clover is likely the most expensive coffee maker on the planet (tens of thousands of dollars a piece), so Starbucks could only install one at select locations. Even then, a cup of coffee costs over 50 cents more than regular drip or pour-over. How did Starbucks keep the costs under control? Will this result in a major price increase? A store manager I spoke to locally said Clover costs $15K Canadian , which is about $11K US. Given that the Orenda people appear to have invented a home Clover X and are pre-selling it for $400 US, one would assume a heavy-duty commercial version of it could be made for $1000 or so. Definitely affordable enough to put one or two in every store chain-wide. Those commercial Vitamix blenders they use for the Frappuccinos cost about that much. *** Followup comment *** Melody, I had a chance to talk to a Barista at my go-to store this morning. This store, by the way, is one of the busiest in it’s district. He told me that although he is looking forward to this new machine, his concern lies in the fact they will only be receiving one machine. He worries that this may cause problems if they are in the middle of morning rush and have to fill several travelers (not uncommon to have several orders for those every morning). Or worse yet, a Cambrio (I think I spelled that right). I’m sure there will be tweaks and bugs to work out. He is, over all, excited about the new technology, and as stated before I am excited about the opportunity for an always-fresh drip. 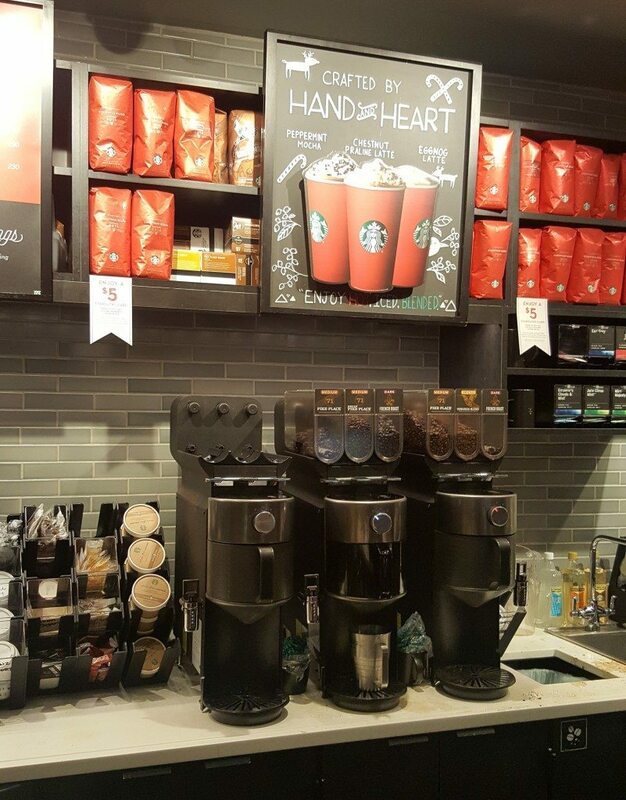 And it looks like my local Starbucks (here in picturesque Pickering, Ontario, just east of Toronto) will have Clover X later this week! It is NOT a Reserve store (never was, probably never will be) but their menu board has already been changed, where the regular brew coffee used to be now reads “Clover brewed coffee” with the same prices they have been selling the regular brews at ($1.90 Canadian for a tall). They already posted a cryptic “coming soon” type message on their Instragram as well. Can’t wait to try it. My local store got 2 Clover X machines, taking up the space formerly occupied by the three Bunn machines and the grinder. Did your store get it yet, and did they just get the one? My local shop can get busy but it doesn’t have a drive-thru (and only 2 cash registers) so that makes it less hectic than other locations that have 3 registers plus a drive-thru lane. I posted this elsewhere – this week the featured dark roast is Gold Coast and on the Clover X it was definitely brewed much stronger than I used to get on the Bunn or the pourover. I mentioned this (as a compliment) to one of the veteran baristas there, and he told me that customers have complained that the Blonde Roast came out watery. So some more adjustments are in order; if you want to make sure you don’t get a weak cup, better to order medium (Pike) or dark. I am disappointed that a person can’t buy a machine for personal use. Please consider doing so on smaller scale hopefully won’t compete with store use.